ASPEN – Area medical marijuana providers admit they’re a bit unnerved by last week’s reports that federal authorities may crack down on the industry in Colorado next year, but operators say they’re striving to strictly comply with state regulations while they wait and see what happens next. A law-enforcement official told The Associated Press last week that enforcement action is under consideration for Colorado early next year despite state laws that regulate and tax the industry – moves that marijuana advocates hoped would spare the state from the kind of crackdown that occurred in California. There, dozens of medical marijuana businesses, landlords leasing property to growers, and retailers selling medicinal pot over the counter were targeted in Drug Enforcement Administration raids. “It’s certainly a lot more risky business than I intended to get into,” said the owner of Aspen Roaring Fork Wellness near Basalt, who asked not to be named. “Yes, I’m worried, but I have confidence we’re going to be OK.
Aspen Roaring Fork Wellness first opened in the Aspen Business Center before relocating to a location outside of Basalt early this year. It’s one of a handful of medical marijuana businesses that operate in unincorporated Pitkin County and complies only with state laws. 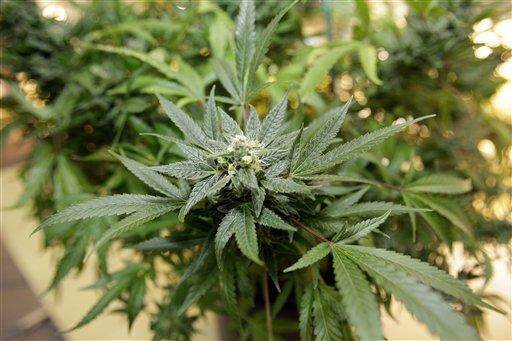 The county declined to regulate medical marijuana at the advice of county attorney John Ely. Regulations had been drawn up and were ready for formal review when he advised county commissioners to drop the whole thing last summer. “I don’t think the county should be in the position of abetting the violation of federal law,” Ely told commissioners in June, when they subsequently voted to reject the proposed rules. Ely was scheduled to update commissioners on the state’s medical marijuana regulations behind closed doors last week; the conversation is now scheduled Tuesday instead. He said he wants to update commissioners on the status of state law but isn’t advocating any change in the county’s course of action. Last summer, he advised commissioners that the county should not ask its employees to issue licenses to marijuana businesses and enforce zoning laws related to medical marijuana because it puts them in a position of potential criminal liability. Operators themselves, however, remain caught in the quandary of engaging in a business that violates federal law but is permitted under state law. There are 667 retail shops, or dispensaries, 926 cultivation operations and 246 infused-product manufacturers operating under Colorado law, according to figures from the state Revenue Department. The state is one of 16, plus the District of Columbia, that have passed laws legalizing marijuana for medical use. “Yeah, it’s a little nerve-racking,” Billy Miller, a partner in L.E.A.F., said of the potential federal crackdown in Colorado. L.E.A.F. was one of the first Aspen dispensaries to open when the industry exploded in Colorado in 2009. Its parent company also operates two growing facilities, both located in unincorporated Garfield County. L.E.A.F. was recently inspected by a state official with the Medical Marijuana Enforcement Division in a routine check for compliance, Miller said. Operators face daunting paperwork and filing requirements. “There’s quite a bit of administrative work to the business right now,” he said. Lauren Maytin, an Aspen attorney who advises more than a dozen marijuana businesses in the Roaring Fork Valley as well as others around the state, believes the feds will target blatant violators, not operators who are working diligently to follow the letter of Colorado law. “You’re within 1,000 feet of a school, you’re in trouble,” she said. Large-scale growers could also draw scrutiny, she predicted.